23 Jan Diverse Talent, work integration. Beltá & Frajumar, as a part of its policy in the sphere of corporate social responsibility, has chosen two students with mental disabilities to gain work experience, through the program “Diverse Talent”. The students, belonging to the Day Centre of the Association of Mentally Disabled People of Yecla (AMPY) and the College of Special Education, Virgen de la Esperanza, completed a placement in Beltá & Frajumar a few days ago. They have been working for two months in the sofa cushion-filling and warehousing sections and have had tutors and support staff from the company, CETEM and AMPY during this period. Beltá & Frajumar is aware that it cannot develop solely in an autonomous manner but has to offer part of its resources for the benefit of society. 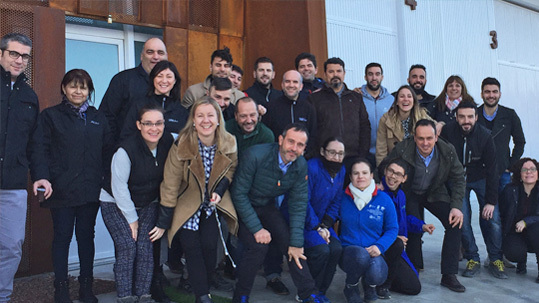 It has welcomed this experience which has left great affective and emotional bonds between these boys, the staff and the managers of our company. In truth, the boys have contributed as much if not more to us, than what we have been able to give to them … An experience that has been immensely worthwhile! 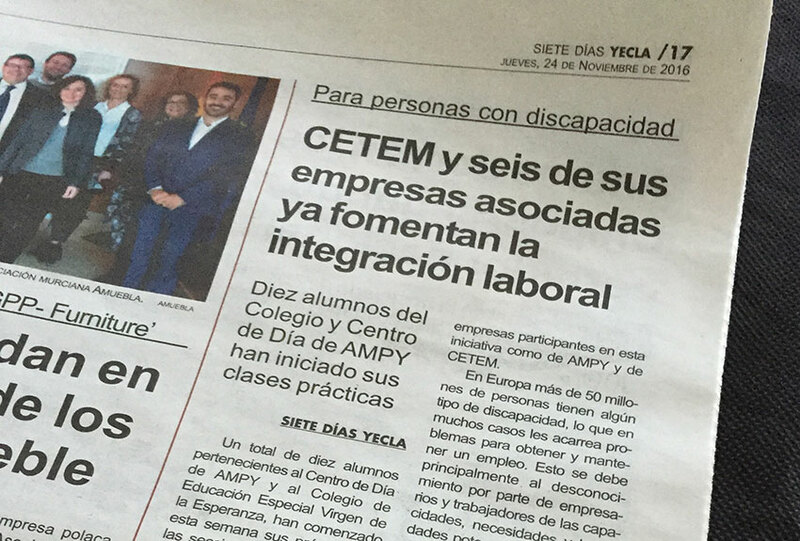 We applaud the initiative of CETEM and the other five companies in Yecla that have signed up to bring about this project of social inclusion, enabling its participants to have greater job opportunities.